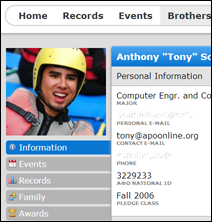 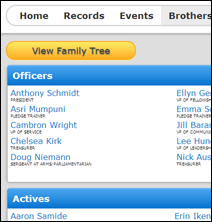 APOonline gives your Alpha Phi Omega chapter the tools to manage your chapter's membership, events, financial records, and much more. 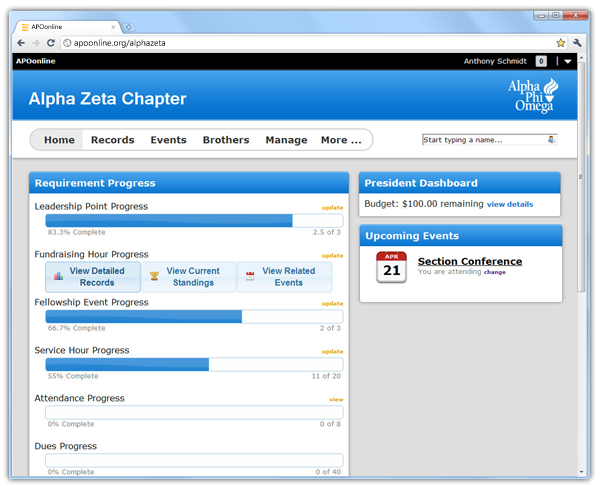 Post all of your chapter's events all in one place with APOonline's event management system. 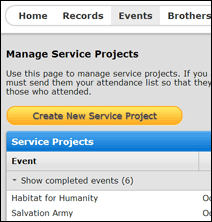 Attach requirement credit such as service hours to events which will be awarded to attendees once the event has been completed. 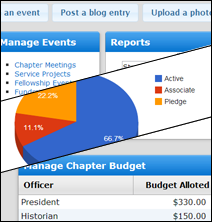 Chapter budgeting, collecting dues online, chapter awards, blog, photo albums, meeting attendance, minutes, CoE and PPoE progress tracking, membership and event reports just to name a few.